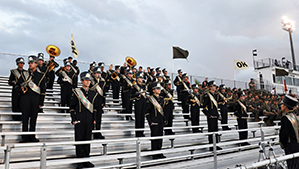 Our OHHS Marching Band is comprised of young talented musicians dedicated to their music, their education and to their band. 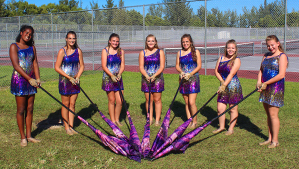 Color Guard uses their flags, sabers and rifles to create a visually powerful dynamic routine as an accompaniment to the music the marching band is performing. 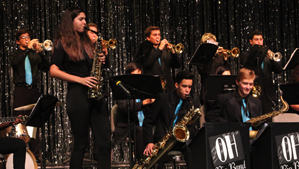 Olympic Heights High School Jazz Band is a top performing ensemble. These 16 to 24 kids can do what a lot of adult musicians cannot do. Their passion for their art is outstanding. 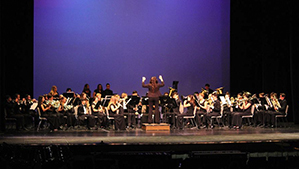 The goal of the concert band is artistic expression not just entertainment. The concert band plays serious wind literature written specifically for the concert band by great American Composers.